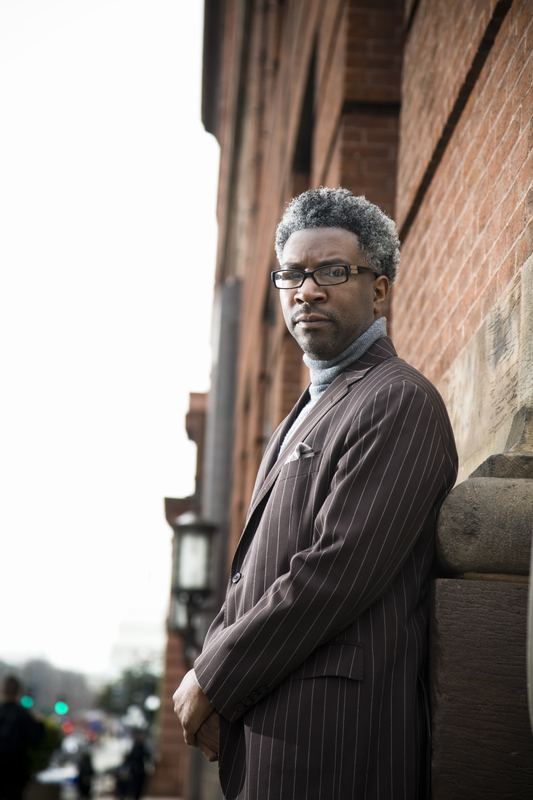 Award-winning pollster Cornell Belcher’s new book is out and making the right kind of waves. Described as a white paper, the book just might be the source of knowledge minorities need to cope with the results of the 2016 election. It was 2008, right after the election of President Barack Obama, Belcher and members of his firm, Brilliant Corners Research & Strategies, began researching how racial attitudes would impact the election of Obama coming out of the primaries into the general election. “I kept it going from 2008 up until the primary season in 2016,” Belcher said. Now the data from the research is coming in handy. His book A Black Man in the White House: Barack Obama and the Triggering of America’s Racial-Aversion Crisis was born. Belcher used the polling data to document accounts of racial aversion. And his results reveal that aversive racism — when certain racial groups avoid interacting with other minority/ethnic groups because of negative stereotypes — still exists. In his book, Belcher uses polling data to track racial aversion. Cornell Belcher, President and CEO of Brilliant Corners at the intersection of H and North Capitol Streets NW on March 21, 2011 in Washington DC. Belcher said the results from eight years of research shouldn’t be surprising and he was hoping to see something different. “There’s the idea that as one group feels more threatened and uncertain, they pull in and become more conservative and nationalistic,” Belcher explained. “That’s, quite frankly, what we’ve seen over the course of Obama’s presidency and that sort of aversion has landed softly on the Republican Party. Belcher’s eight-year journey and the crafting of his research in A Black Man in the White House can bring hope, understanding and a formula for change. He told The Undefeated who inspires him, explains how to heal from the recent presidential election and more. How comfortable are you with the storytelling of the book? I’m very comfortable. What I try to do is just give you an academic white paper of data on polling data. What I try to do is tell a story that’s about race and how it has impacted politics in this country and then back that up with data. It’s not just a book that is all about data, but it is a book that tells a story of how race has played a role in our politics in this country and plays a role in how we organize ourselves politically. Do you think your book intertwines racial aversion and cultural relevancy? Yes, to a certain extent. Your cultural and your racial identification aren’t that disconnected. I would argue that race … There’s not a lot that race doesn’t trump historically in this country. Race trumps gender, seen in this past election where a white woman overwhelmingly lost white women to someone who, quite frankly, was caught on tape talking about assaulting women. Race has historically trumped class in this country. There’s so much that inspires me, but from a professional standpoint I go back to … one of the books I read early on was Gordon Parks’ [auto]biography A Choice of Weapons and his basic premise, for me, was that people’s consciousness who … they have to choose a weapon to fight for change. For him, of course, his weapon was the camera and the arts. For me, my weapon was going to be politics and the science of politics. That was important to me and helping me understand that I have to choose a weapon in the fight for change. My weapon in the fight for change was going to be politics. What was the hardest part in writing your book? Just writing in general. Finding the time to get the writing done and pushing forward. That was really the hardest part and watching the data. Having the patience and time to gather the data over time and not make a rushed judgment. If I had written this book in 2009, I think it would be a very different book. It would be missing the story of how we got here. It would have been concluded very differently in a way that is less hopeful and telling. But the fact that I took the time to gather data over a longer period of time, I think, tells a fuller story of how we got here and how we move forward. Are there any underrepresented ideas featured in the book? I don’t know, I’ll leave that to the readers. There’s always underrepresented ideas in any work. I’m going to be guilty of that just like everyone else, but I think the book is … A lot of people scratched their heads in dismay how we got Donald Trump. Do you really want to understand how we got Donald Trump? Read my book. It lays out how we got Donald Trump and we have to understand how we got Donald Trump because we want to understand how to move forward. How do you find or make the time to write? Well, it was really tough. But also understand that as a pollster, one of the things I do for a living is take numbers and make them digestible. So it’s something that I do for a living. So it’s writing, but these days you have to make numbers pictures. You have to make graphics so that people are understanding them. Part of what I do for a living is try to take numbers and make them more digestible for regular people. It’s not something that is a leap for me and this is something that I’ve been passionate about. It’s also taken me eight years to do it, so it’s something that I’ve been working at for a while. Do you write more by logic or intuition? Or do you combine a little bit of both? I am a social scientist by training, I’m a pollster, so there has to be a linear logic to it. However, that doesn’t always make for a good book. That makes for a good academic paper. You do need to connect a narrative to your data and that’s what I tried to do. My book has connected historical narrative to my data to tell a story about how we got here. Some of us sort of lean on the writings of Du Bois. Du Bois was one of the greatest intellectuals of American history, but he also wrote poetry. For black folks it is a penetrating first-rate study, but it’s also poetry. I’m not that, but I think that’s what some of us social scientists aspire to. As a social scientist, do you find it hard to not insert your opinion about certain items or certain ideas when you’re writing? As a scientist, you let the data tell the story. The data tells the story. I think in this book the data tells a fairly clear story. Do I have [to] interject in some of the writings power or attitude for effect? Yeah, because, again, you have to tell a story in order to get a book published. It can’t just be straightforward cold data. So I try to tell a compelling and interesting story from the perspective of the data. With the facts that you’ve presented in the book, how would you suggest that people heal from everything that went down with the election? That’s the thing, I think why I wanted to write the book was so that we have the understanding of where we are. The very conversation that is so difficult … The idea that there is a rise in racial aversion and that this racial aversion is actually impacting our politics and how it impacts our politics impacts policy and daily life and the future of this country. We’ve got to come to a space here where we see the reality of where we are to understand where we need to have to go. I’m not even getting into how we solve for this, I’m trying to get us to a place where we can acknowledge it, because there’s no way we can solve for it if we don’t acknowledge it. Do you think that’s the biggest misconception that you face, especially in regards to this particular book? Yeah. It’s tough to have a conversation about race, because the moment you even acknowledge it, there’s a certain segment of folks out there who want to say that you are racist and you’re part of the problem. That is one of the biggest hurdles to us solving for this problem, is people who want to put their heads in the sand on racial issues. Lord help you if you want to actually acknowledge that there are racial issues and a horrid history around racial matters in this country. You did mention W.E.B. Du Bois — who else was influential in your work? What other authors? Du Bois is influential in this book as much as he’s influential in me as a social scientist. I think if you’re white or black in this country, Du Bois is a, what’s the right word for I’m looking for, he is at the top of historical opinions about social science, historical … He’s one of the pillars. So I wouldn’t say that Du Bois was one that influenced this book, but he’s certainly one that influences how many of us go about the work of social science. In the present it’s client work. Right now it’s a lot of work around trying to help progressives understand what just happened in this past election and how to move forward. Belcher’s contributions have garnered huge notoriety. He was named to The Root 100 twice. He has been featured in The New York Times, The Washington Post, The Wall Street Journal, Black Enterprise, The Root, The Atlantic, Politico, CNN, BET and Melissa Harris-Perry.